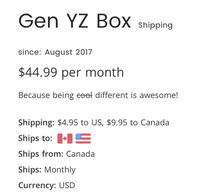 What is the Gen Y Z Box? 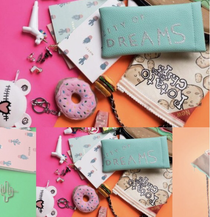 This is a new subscription box for girls and young women. Because being different is awesome! The cost is $$44.99 per month plus shipping, and they ship to the US and Canada. The deal in the US Dollar for payment. 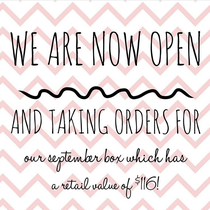 Their first box is in September and has a total retail value of over $116!!!! Comment below what you think of this box. Will you be ordering one? Will you order a box as a gift? I think this box looks awesome!! !